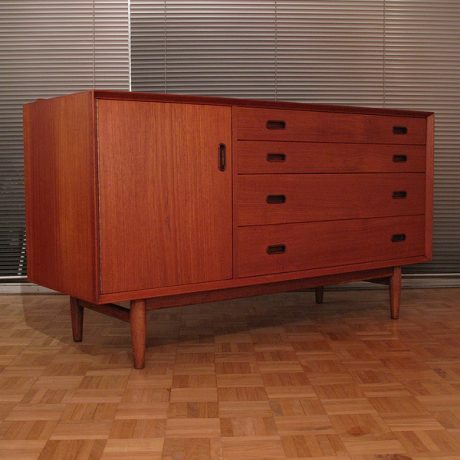 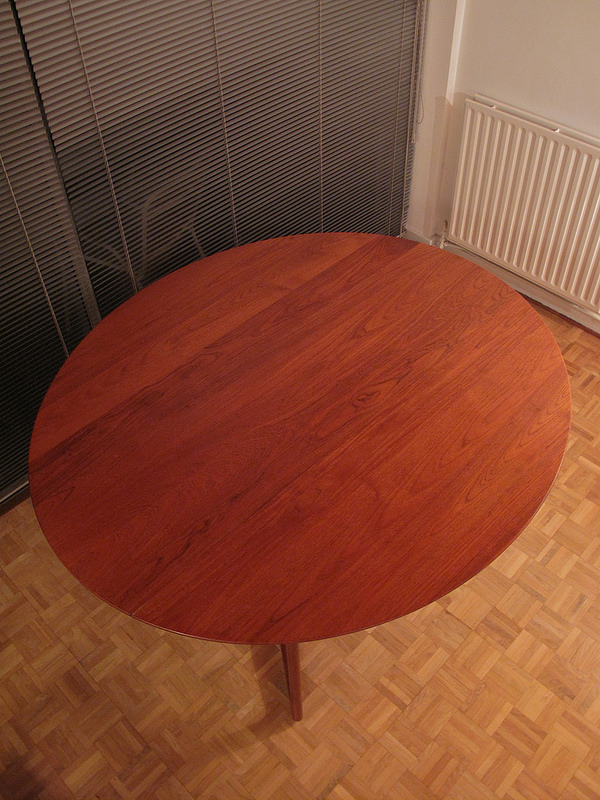 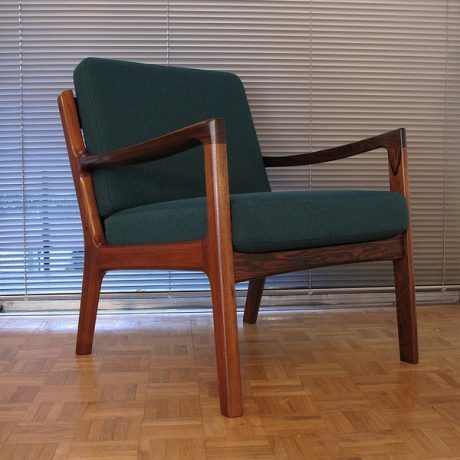 A true masterpiece of Danish design. 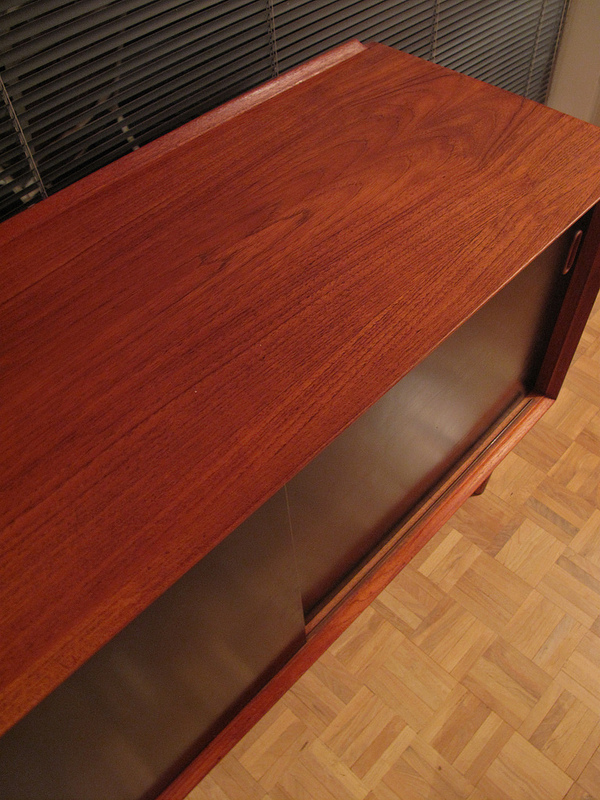 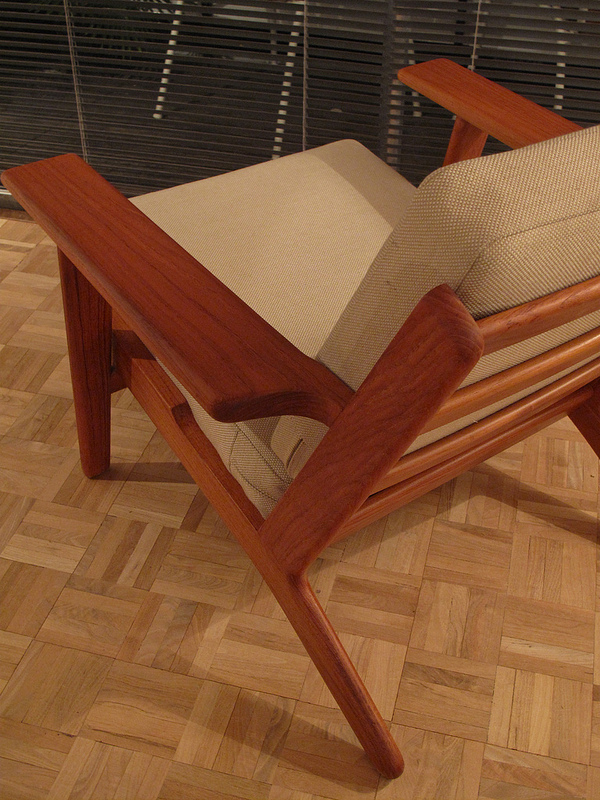 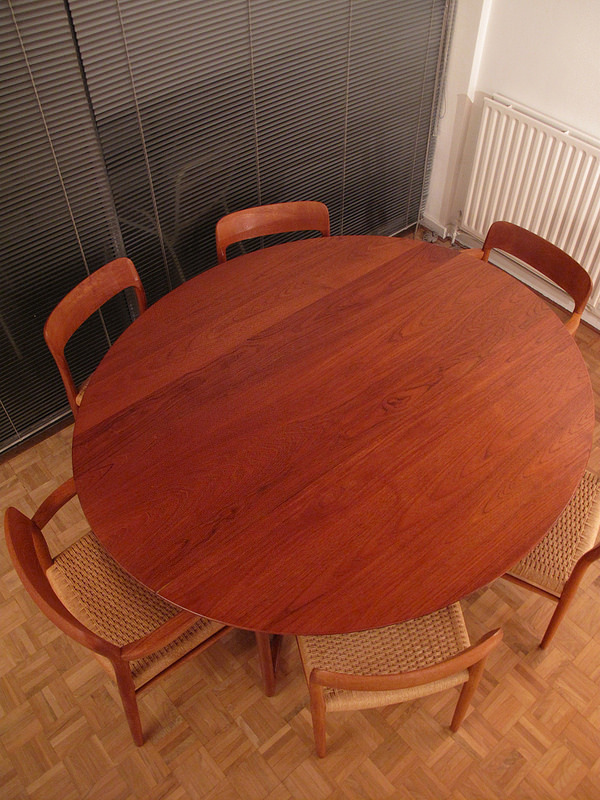 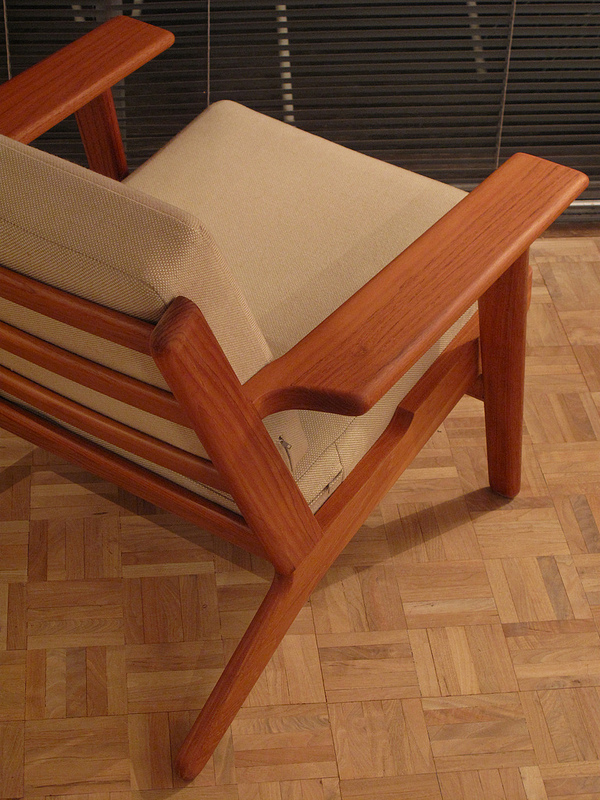 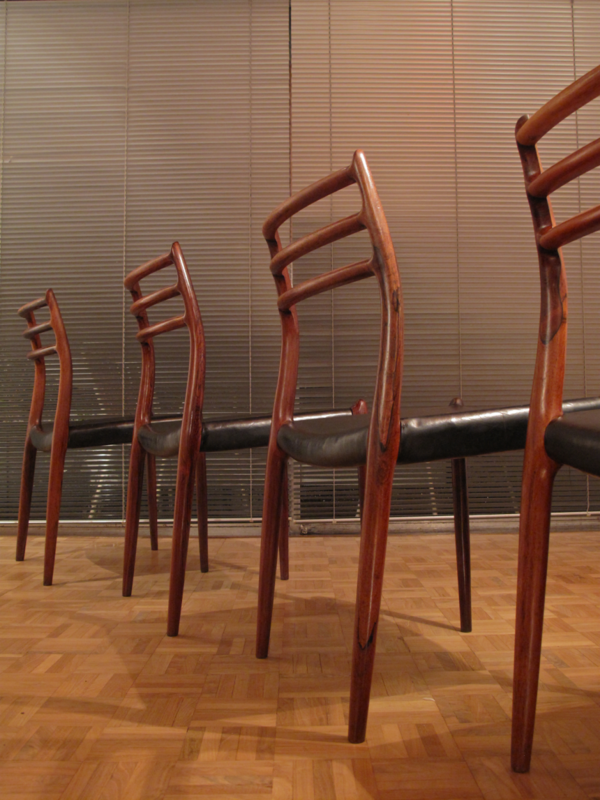 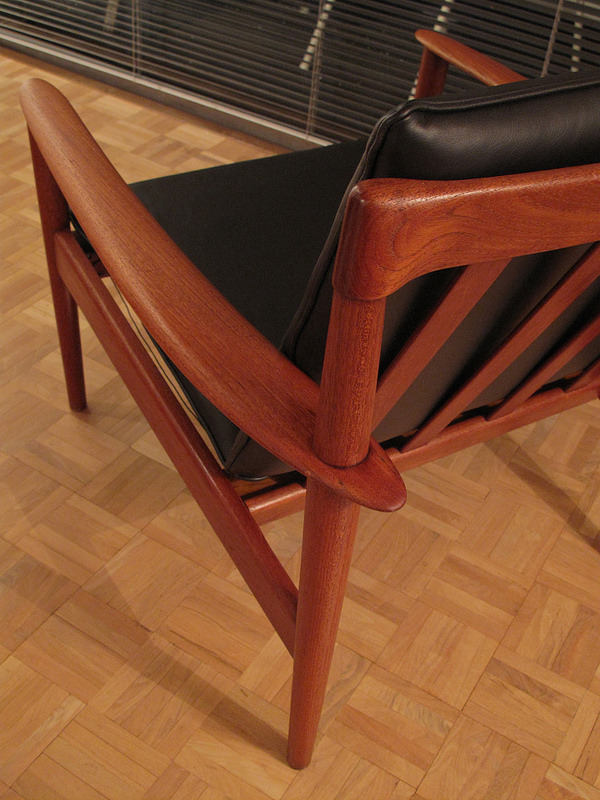 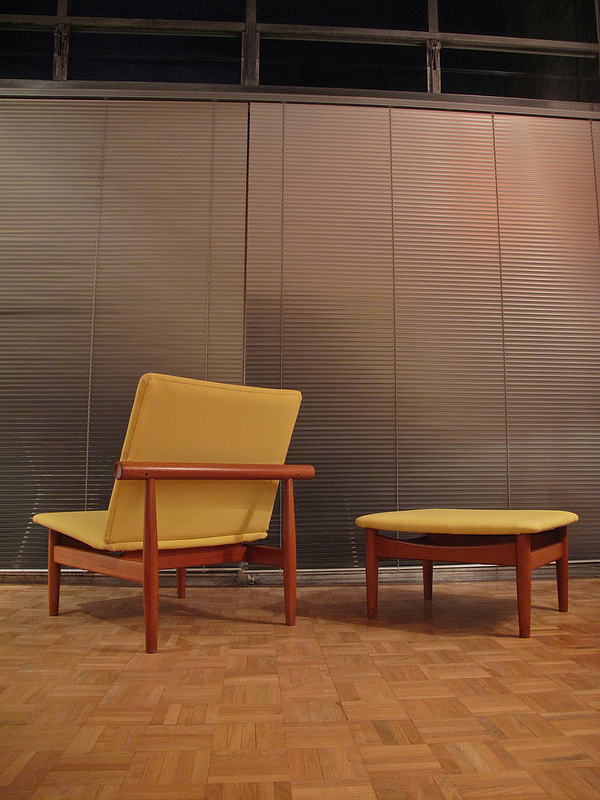 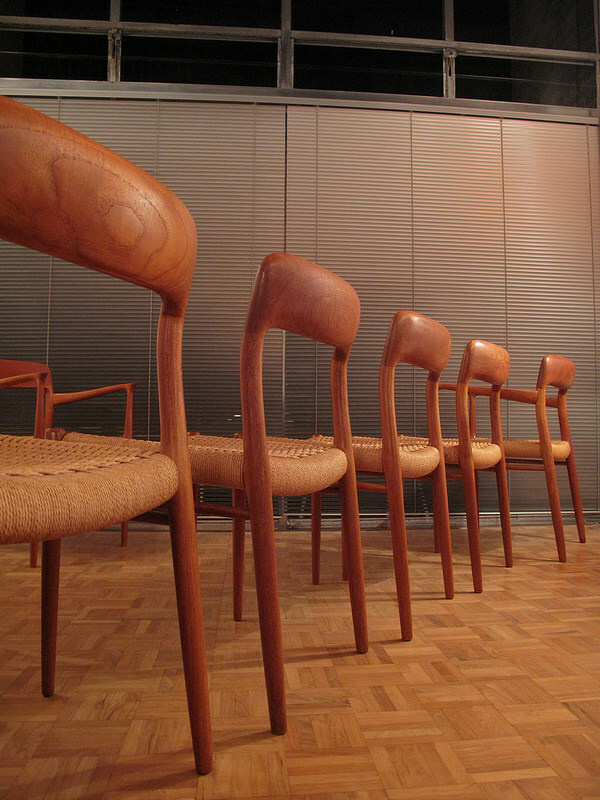 Designed by Niels Moller in 1962 the Model 78 chairs are considered to be Mollers greatest achievement. 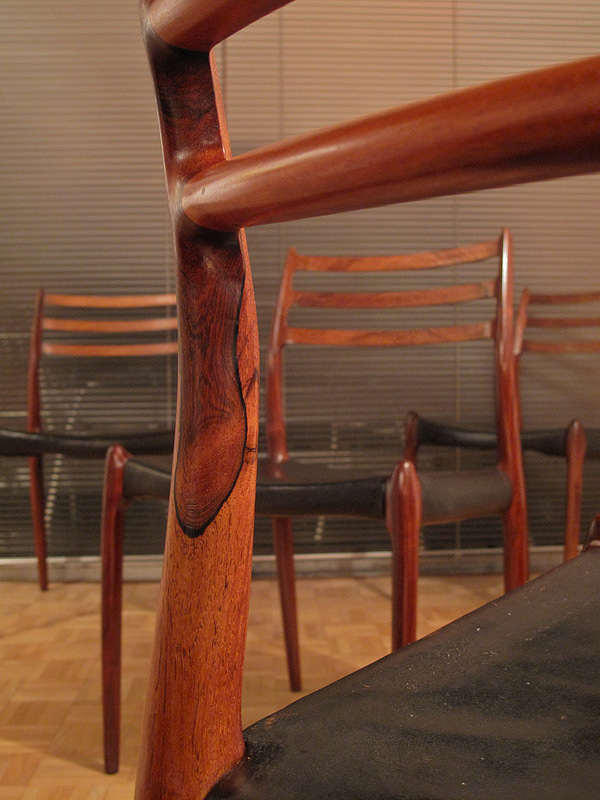 They feature an incredibly slender and elegant solid Brazilian rosewood frame which is a showcase for their exquisite handmade craftsmanship. 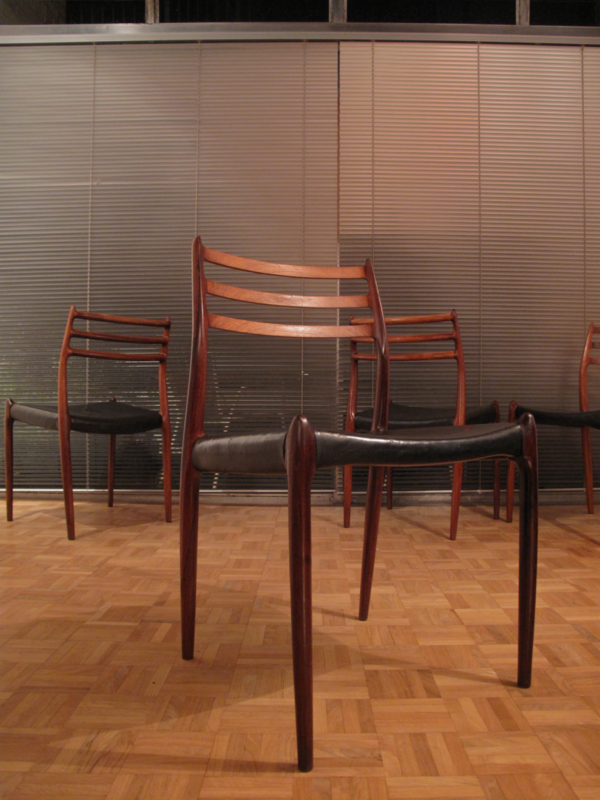 A very desirable and collectable set, these four chairs are early productions which still have their original leather upholstery which is heavily patinated, lovely lovely things. 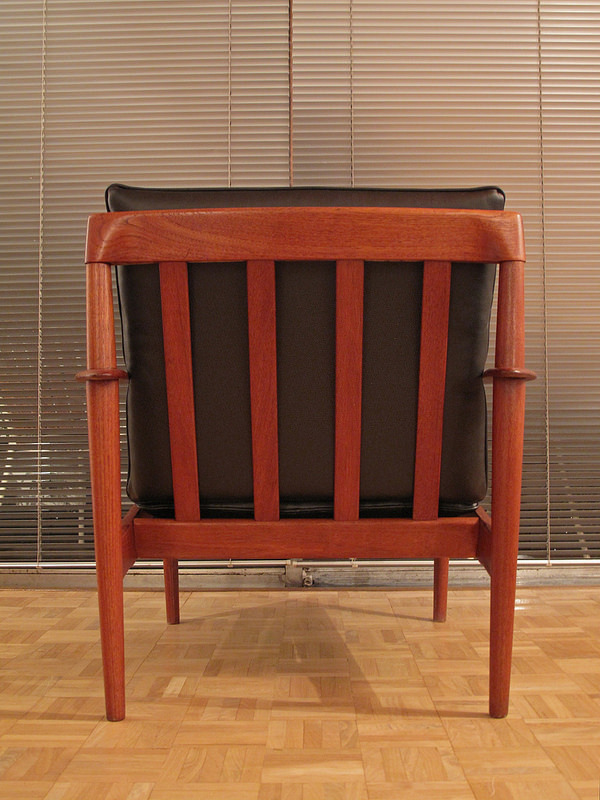 Produced by J.L Moller with makers tags to the underside.